Avocado oil is rich in the oleic acid that increases fat burning to help with weight loss , protects cells from free radical damage. It is also s highly resistant to oxidation, meaning that avocado oil won’t go rancid quickly. As we know, that can be the case with many other oils when stored for a long time. Due to its stability, avocado oil can also be used for cooking at higher temperatures because of its high smoke point. Actually, one of the highest among widely used cooking oils. A heated cooking oil is considered unsafe when it reaches its smoking point – the temperature at which it begins to chemically break down into glycerol and free fatty acids, and the glycerol breaks down further to produce toxic fumes and free radicals. You can recognize this process by continuous smoke that oil produces, not to mention an unpleasant flavor. Avocado oil can be heated up to 520°F (271°C) without breaking down and losing some of its health benefits. This fact makes avocado oil a great choice for high-temperature frying. We find it natural to use olive oil for cooking. Hover, olive oil might be controversial for use in high heat cooking and frying. On the one hand, olive oil is full of healthy, monounsaturated fats, which help reduce bad cholesterol. On the other hand, olive oil has a relatively low smoke point — 320°F (160°C) for extra virgin and 420°F (215°C) for virgin. You might still want to use this vegetable oil for medium or low heat cooking, e.g. for slow cooker or oven set to medium temperature. But back to avocado oil. Avocado oil is a great alternative when you plan high heat cooking, e.g. frying or sautéing. Avocado oil has a mild flavor and a higher smoke point 520°F (271 C). Due to this unique feature, it preserves its nutrients at higher temperatures than many other cooking oils. No wonder, that cooking with good avocado is becoming increasingly popular today. Some experts even call it one of the best oils to be used for high heat cooking . Not only do you have a far lower chance of creating inhaling dangerous fumes and exposing yourself to free radicals, but your health benefits from its superior fatty acid profile, phytosterols, and high antioxidant content. For example, plant sterols or phytosterols, are a group of compounds or phytochemicals found in plants. These compounds can compete with dietary cholesterol during absorption by the intestines, thereby reducing cholesterol absorption . 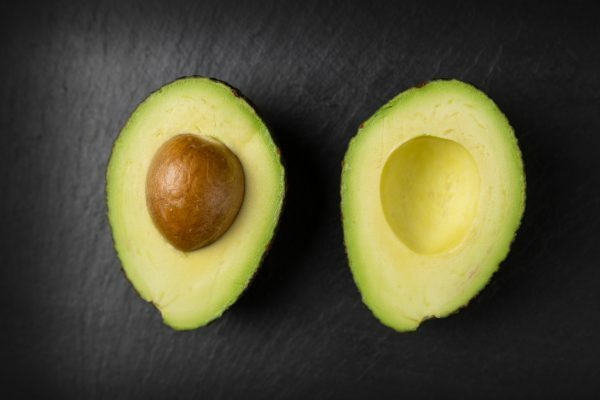 Avocados are also a cholesterol-free and sugar-free food. To top it all off, avocado oil simply tastes awesome!